It’s fairly common knowledge that when you drink a lot of alcohol, the quality of your sleep is diminished. But, according to a new study, even a single nightcap can negatively impact your slumber. The research, conducted at the University of Melbourne in Australia, looked into the idea that even a little nip is a bad thing before bed. 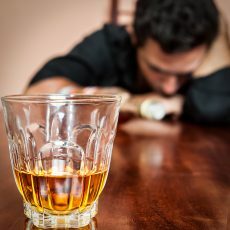 Researchers recruited college-aged volunteers to drink either alcohol or a placebo beverage, then spend several nights sleeping while being constantly neurologically monitored in a lab. At first it may have seemed like the alcohol drinkers were enjoying deeper sleep, due to a greater amount of “delta” (i.e. deep and restorative) sleep. What the scientists found, however, is that drinkers also spent more time in “alpha” sleep phases — a more aroused state, physiologically. So, the extra deep sleep caused by evening alcohol consumption is basically cancelled out. The researchers also found that the subjects who drank before bed slept longer. The result, therefore, was that the drinkers spent more time in bed but awakened feeling less refreshed than the non-drinkers.